Bois d'Iris was launched in 2000 by The Different Company, who reportedly gave nose Jean Claude Ellena and designer Thierry de Bashmakoff (who also designed the bottle for Bvlgari Black) carte blanche to create a unique line of luxury fragrances. Bois d'Iris features notes of iris, vetiver, bergamot, cedar, narcissus, geranium and musk. Like yesterday's Hiris, Bois d'Iris is an earthy fragrance, but it is a very different take on earthy. If Hiris is like a walk in the woods with a cool breeze blowing, the sensation of wearing Bois d'Iris is closer to being in an undergound tunnel, with the smell of damp wood and roots. Bois d'Iris starts off peppery, but with none of the sharp edges that characterize the top notes of Hiris. The dry down, while very soft and restrained, emphasizes the raw, earthy nature of the iris root, complemented by vetiver and cedar. It is mildly spicy, with a touch of sweetness and gentle floral notes. Many reviewers mention violet, and there is a brief suggestion of violet in the early stages, although the geranium is considerably more pronounced to my nose. It is a tranquil fragrance, with none of the playfulness of Hiris, and less of the feminine elegance. Of the two, Bois d'Iris is probably the more masculine. I would be hard pressed to say which scent I liked better — they are two completely different iris moods, and Serge Lutens' Iris Silver Mist, which I will review tomorrow, is yet a third. I need all three. Like many of Jean Claude Ellena's fragrances, Bois d'Iris is sheer, and it stays rather close to the skin. It is an Eau de Toilette, and as with the other scents in this line, it performs much better when sprayed than dabbed. Bois d'Iris is sold in 90 ml ($110) or 250 ml ($350, with a leather case) bottles; in the "48 heures" 10 ml ($120) travel bottles; or as part as a discovery set ($50) that includes 10 ml bottles of Bois d'Iris, Osmanthus and Rose Poivrée. The Different Company's packaging is beautifully designed but expensive, so those on a budget might want to look at the estagnon, a 250 ml aluminum refill bottle that sells for $120, or the travel spray refills, which are $50 for three 10 ml bottles. R, I must admit that I don´t like Bois d´Iris. I find it way too strong, on my skin it becomes really overwhelming. I think it may be my least favourite iris fragrance. I was really disappointed The only TDC fragrance I like is Rose Poivrée. Hi! I love your blog and I LOVE perfume. I've been addicted since I was a little girl…and I blame my mom! Never smelled Bois d'Iris…my favorite is Eau des Merveilles from Hermes. I write about perfume on my blog, too, once in a while. My blog is called beauty addict and I review makeup, skincare, etc. I'll definitely link to you and if you like my blog, I'd appreciate it if you'd do the same! More readers for all of us! R, I prefer Hiris, but I do love the packaging of this line even though $110. for an EDT is a bit much. And you are absolutely correct: spray away!! If I had not taken the opportunity to test Divine Bergamot sprayed, instead of dabbed, I would have never purchased it. Dabbed just faded away. But sprayed on, the fragrance tends to last all day. Hello R! I am sadly not such a fan of this perfume and I find it a bit masculine too. Wish I did get the violet – as I love violet and iris! I prefer their Osmanthus and Divine Bergamot. Thanks for the great review R – as always. Hope all is well. What a great review! “The sensation of wearing Bois d'Iris is closer to being in an undergound tunnel, with the smell of damp wood and roots” – the best and truest image of Bois d'Iris. I haven't tried iris Silver Mist, can't wait to learn all about it tomorrow. Wow, then, S, you are lucky. I find it a very light scent. Love it, but Divine Bergamote is still my favorite from TDC. Thanks, Kristen, I will check out your blog. Hello R, yes, Hiris is quite a bargain in comparison. Splitting the estagnon is the only way to get this really cheaply. I would love to have one of the travel bottles though, they are really stunning. Thank you M! Iris Silver Mist is a must try if you love iris, it is a really stunningly beautiful fragrance. Great review! I confess, I wear this much more than Hiris, which is a shame, because I have an itty bitty decant of this and a mondo big vat of Hiris. But the milky, cloudy, opalescence of Hiris makes me feel overwhelmed and nose-blinded, while the spiky, peppery facets of Bois d'Iris, simpler and more transparent, wear much better for me. I do detect something like a soft violet in the drydown, and I'm jealous of all you people who say it's strong, because I can barely smell it after an hour. I do like the way Jean-Claude Ellena achieves transparent effects in fragrances that gesture toward the oriental mode, or even get there completely (Ambre Narguile, Poivre Samarcande). Laura and I were joking that he should just marry Olivia Giacobetti, and then they can both make watercolor fragrances for all of us together. But JCE's more willing to leave raw edges to catch your interest, while Olivia tends to sand her compositions carefully into a frictionless continuity. And now I've gone so far out there into Pretentious Land that someone needs to lasso me in before I end up in orbit. I love Bois d'Iris. It has a wonderful clarity that many irises do not possess. I agree that it absolutely must be sprayed. I discovered how much I love TDC after I acquired the fragrances in atomizers. Lovely review, R…I look forward to reading your views on ISM. Bois d'Iris is one of my favourites – to me it's deliciously violet-y for a fair while, then settles down into a calm iris note that is earthy rather than carrotty. I think all the TDC scents achieve brightness without being overly sweet, which captivates me. Great reviews of iris scents. Smelling (dabbed-on) Bois d'Iris from a decant, but I'm not feeling it. I think it's a little too feminine for me (a guy). Looking forward to your review of Iris Silver Mist. Just received a small decant of this, and while I don't think it's for me, it's certainly an interesting scent. I never thought that iris would work for me until I tried Divine's l'Homme de Coeur, which is – as the fragrance house name indicates – absolutely divine. Any chances of you reviewing this? T, actually that is a wonderful description of the difference between OG & JCE. I would love to know if they have ever worked together. Hi V, they should really supply spray samples of this line, as dabbing them is ineffectual, and the scented bracelets were cute but not really useful. Hi N, yes, brightness without being overly sweet is also a great description…actually I was glad to see that Jasmin de Nuit was in a somewhat different vein, and that Celine Ellena had her own style distinct from her father. Interesting that you find Bois d'Iris too feminine, as many women seem to find it too masculine — probably due to the vetiver. I find it comfortably unisex. Will see if I can get to the Divine this week, it really is a wonderful scent. Have you tried the new Dior Homme? Funny, I don't get vetiver at all, although that's usually a note that's very prominent on me. Definitely need to try to spray this one on. This is my second try, and I find I like it better as it dries down, but I just agreed to swap it away! 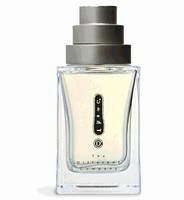 Haven't tried the new Dior Homme yet – great bottle! Does it have iris? Victoria, When I sprayed this on at Aedes, it was wonderful. When I dabbed it on home at few days later from Aedes's generous sample, I asked myself, “Did I just imagine this magical scent?” and so I wrote it off. If I can stand leaving the house without a fragrance on, I will spray this on myself again at Aedes for a third try. Thanks for the great review, Robin. Thanks, R! And I meant I smelled violets in the top accord (not the drydown). Need. More. Caffeine. so disapointed by the new “dior homme” : i buy it, try to offer it to a friend who refused, so i post it to my sister. In fact it's not the revolution it was suposed to be for people very interesting about perfumes wich used to smell a lot of thing . I thought it was nicely done, but too sweet for me, and agree that it is not at all revolutionary. But have a feeling it will appeal to those who like cocoa scents, women as well as men. sweet and heavy that's the problem, ” the cacao phase ” is hard to pass , impossible for me, and it's not “the feminine way” at all wich is the cause, in fact i feel more confortable with gardenia . Agree, the Osmanthus (which is the only TDC I've tried) doesn't work on me either. It dried down to what smelled like a candylike children's fragrance. I didn't find your words pretentious at all – in fact I know just what you mean about JCE's raw edges versus OG's continuity, and am glad you verbalized it so well! I also found this a rather masculine version and prefer Hiris. Thanks for a great review. I love this fragrance…it is long lasting, and a small amount goes a long way. It reminds me of Munich in the Spring. I find myself craving wearing this, freshly floral, but strong and masculine at the same time. Bravo TDC. I like this smoothe creamy iris! but I find this very similar to Dior Homme. Good, because the TDC isn’t creamy at all!